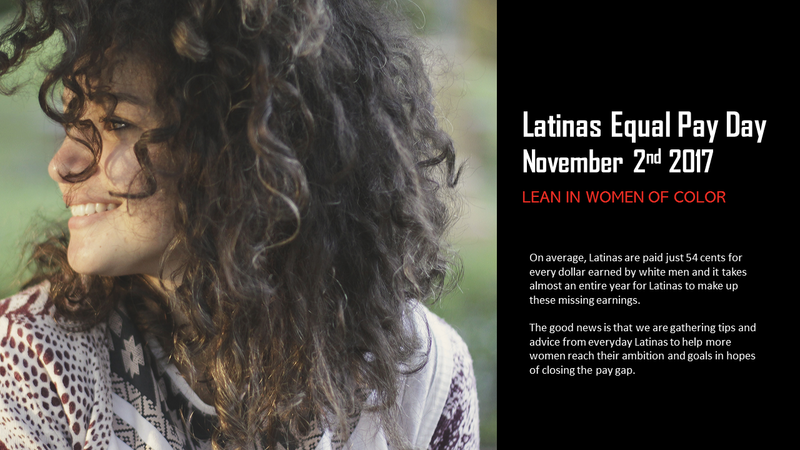 About the Latinas Equal Pay Day Commemoration Website: The project will feature women with Hispanic or Latino ancestry who have leadership stories to tell and aims to inspire other women with a mission to close the pay gap. If you could look back on your career or education, what information could you pass on that could be helpful to others? We are looking to feature responses on the commemoration website in honor of Latinas Equal Pay Day.